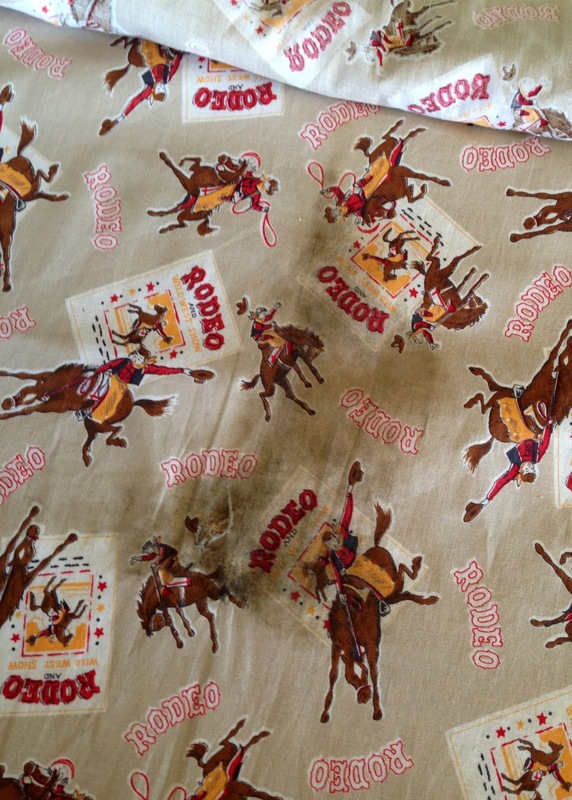 Curtains made from Vintage Western Fabric - sneak peek! 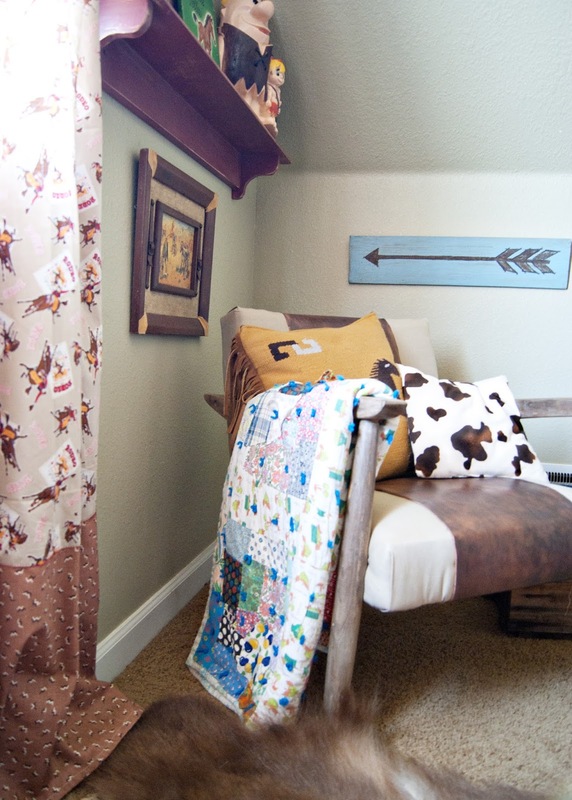 | Averie Lane: Curtains made from Vintage Western Fabric - sneak peek! 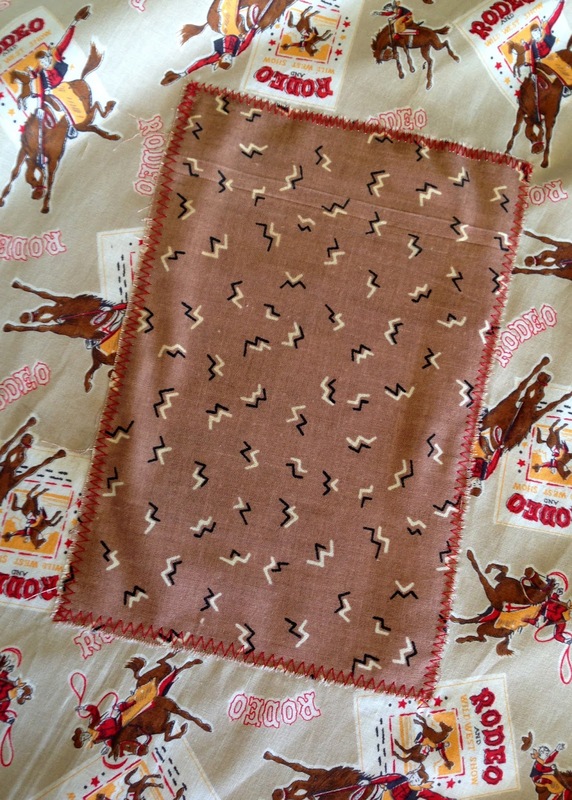 Curtains made from Vintage Western Fabric - sneak peek! Guess what I FINALLY did yesterday...???? 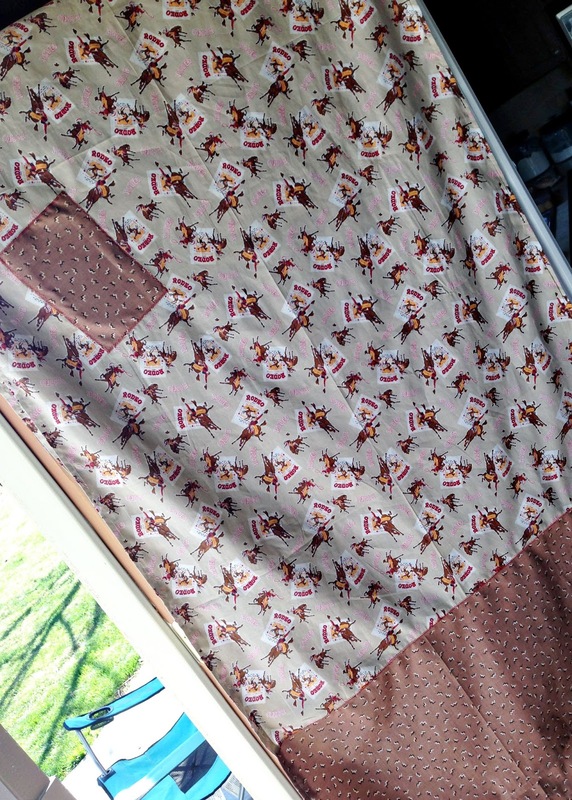 ...this girl sewed her first set of curtains! So I started measuring and cutting and letting the fabric determine what I was going to do with it. I had limited quantities and wanted full length panels, I couldn't be to particular about how big each section was. Yes, that would be a burn (?) mark...smack dab in the middle of the fabric! I am sort of loving the imperfection of it! To tie the patch into the rest of the curtains, I even added some red stitching where the panels meet. I'll be getting better photos soon -pardon these iPhone ones! You know what this post means, right!? Yup! Room reveal coming as soon as I can photograph everything!! Yay!